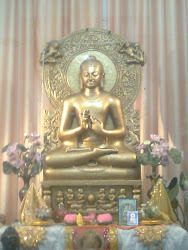 There were three Kashyapa brothers in Uruvela who were great worshippers of fire and were involved in detailed rituals in their daily life.Everybody respected them for their knowledge and rituals they performed.It was not easy to teach them Dhamma but Buddha was determined to share his wisdom with everybody. He arrived at Kashyapa's house and met with the elder brother.Buddha asked him if he could let him spend the night at their place.Kashyapa was amazed by the aura and brilliance on the face of Buddha and agreed to offer his hospitality. Buddha asked him to let him sleep in the room where he kept his sacred fire.Kashyapa was hesitant to offer the room to buddha as the room was occupied by a poisonous snake.Kashyapa said"Please don't stay in that room as a poisonous snake lives in it and it will surely bite you.I don't want you to be bitten by it." "You need not worry.I will be safe .Please let me stay in this room only,"Buddha was firm on his idea. 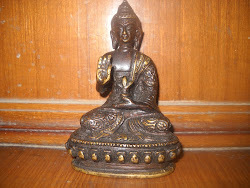 Kashyapa was reluctant but he agreed and showed the room.Buddha sat there and meditated.At night the snake appeared and went towards Buddha to bite but Buddha looked at him with so much kindness that the snake returned to his place without biting him. 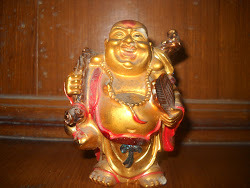 As the elder Kashyapa approached the door he was certain that buddha would be dead of the poison of snake.But to his utter surprise Buddha opened the door and welcomed him inside.When Kashyapa learned about the previous night he was impressed by Buddha's extraordinary powers.He requested him to stay for more days. A big festival was going to take place at Uruvela and hundreds of people were expected to attend the festivities.While arranging for the festival Kashyapa thought,"I wish that Buddha doesn't attend this festival otherwise all those who come to see me will throng around him and I will be completely ignored". On the day of festival ,hundreds of people came to take the blessing of Kashyapa .He was attending to everybody and welcoming them .He showered his blessing on them.Buddha was nowhere to be seen nor Kashyapa thought about inquiring about him. Next morning when Buddha met with Kashyapa .Kashyapa asked him"Where were you yesterday,I didn't happen to see you." "Didn't you want me to stay away from the people?So i stayed away,"responded the Enlightened one.Kashyapa was dumbstruck!as he learned that Buddha was able to read his mind.Seeing Buddha's spiritual powers and his kindness Kashyapa fell to Buddha's feet and asked him to make him his disciple.The Buddha told Kashyapa,"Envy is not holy.As you were envious of me,you did not want me to attend the festival.You will not be enlightened till you harbour envy in your heart." Kashyapa admitted his mistake and accepted Buddha as his mentor.Kashyapa followers and his brothers joined the Sangha with the Buddha.